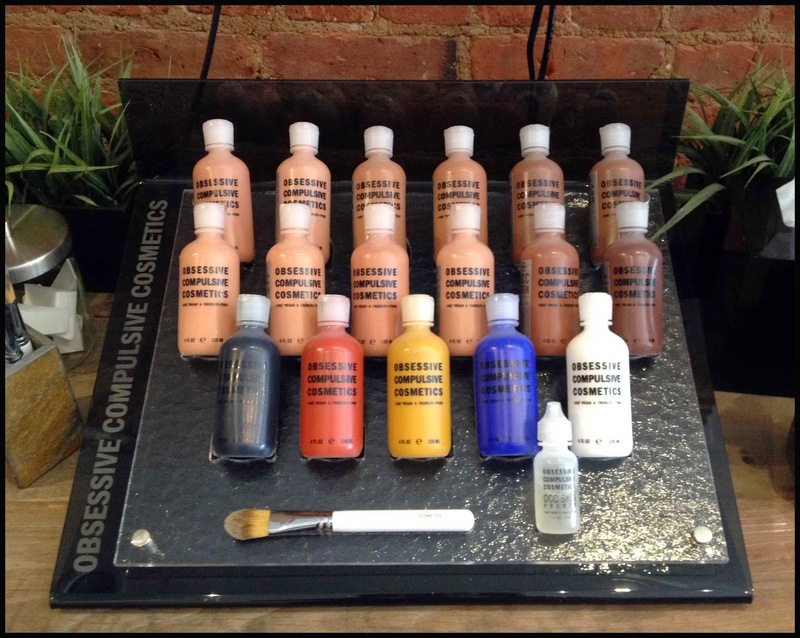 The Airbrush Makeup Guru: Occ Airbrush Makeup is BACK! - Joyous ramblings of a makeup sleuth. Occ Airbrush Makeup is BACK! - Joyous ramblings of a makeup sleuth. OCC Skin is one of the best airbrush makeup products ever made, period. I could end my review here, but I'm going to elaborate a little further to explain why this product has become hard to find of late, causing some panic among its devotees. In other words: we love it, but where is it? 2015 UPDATE: We are very sad to report that a few short months after this article was written, OCC Airbrush Makeup was finally discontinued by the brand. We remain hoping that they will eventually reintroduced what was for us one of the best foundation lines we ever tried. In the meantime you can read the rest of this post as a testament to a much beloved product. 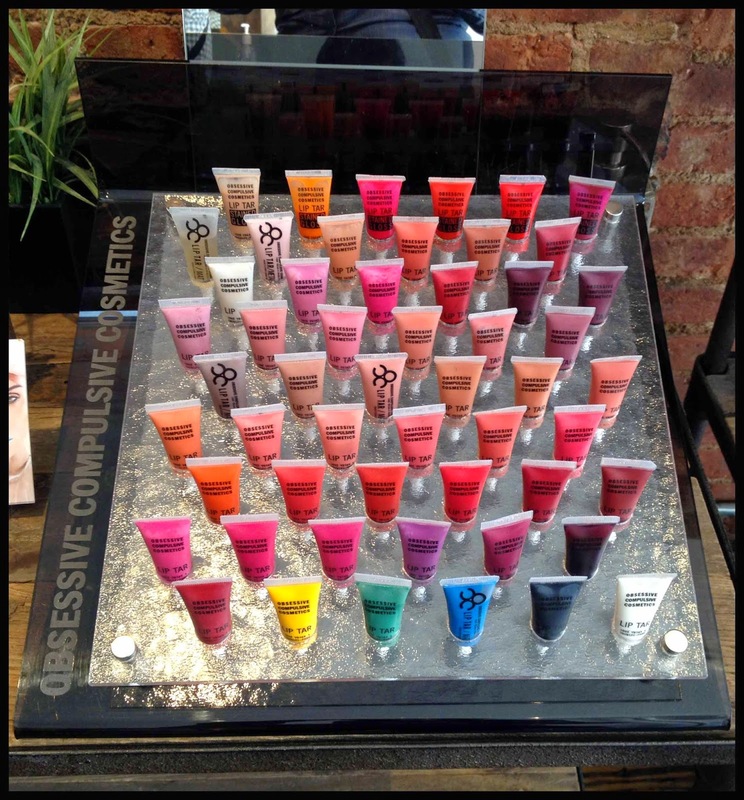 Obessive Compulsive Cosmetics was founded in 2004 by young makeup genius David Klasfeld, who designed his first products focusing on the quality and purity of the ingredients, and with a strict commitment to vegan and cruelty free standards. Before a little thing called Lip Tar became the most popular and celebrated lip product in the US, the company earned a fantastic reputation for its airbrush makeup line, simply called Skin, which quickly came to include foundations, blushes and adjusters, all waterbased, and an alcohol based line as well called OCC Ink for body art and FX. The Skin line quickly became a star in many an airbrush makeup artist's kit, because it had everything that many other water based lines seemed to lack: a soft, matte yet dewy texture that never felt tight or dry and that remained movable for several minutes after application. In short, it defied most of the prejudices that are commonly applied to water based foundations. Like everything else at OCC it was also formulated to vegan, cruelty and bad chemical free standards, and to top it all it was super easy to clean from your airbrush, leaving practically no residue. Cut to 2009: Lip tar is launched at the LA Makeup Show, and everyone goes crazy. Over the next three years Sephora steps in, OCC hits the big time, their website is redesigned, and everyone is happy but the airbrush makeup aficionados, who start getting "sold out" and "out of stock"notices every time they try to buy their Skin products. We finally find out that the packaging is being redesigned, and readied for a new launch. I panic a little. Are they going to change my beloved formula? The Occ Flag Store at 174 Ludlow St. 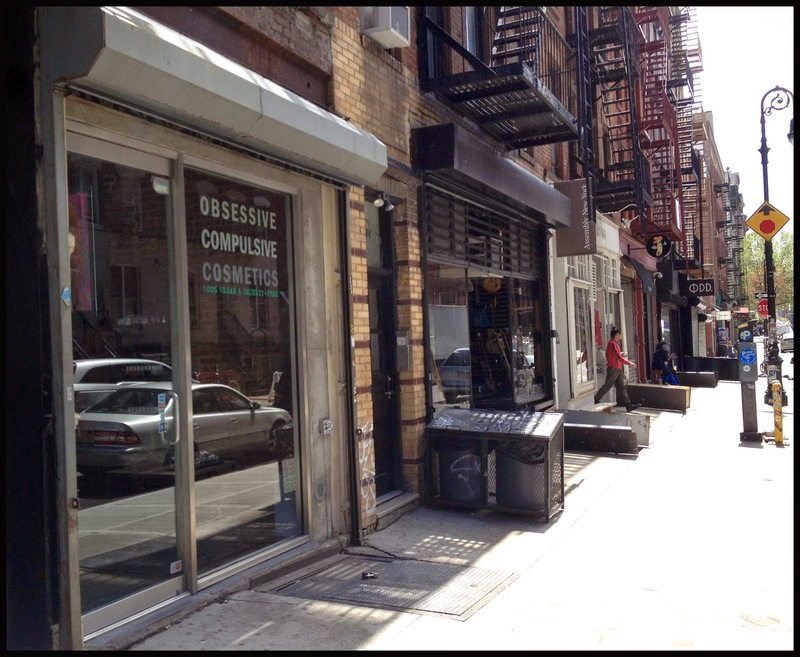 It's 2014, I am visiting New York, and although I know I will see them at the Makeup Show, I decide to head over to OCC's show room in Ludlow Street, on the east side, see for myself what's going on and ask whoever I will find in charge a few questions. 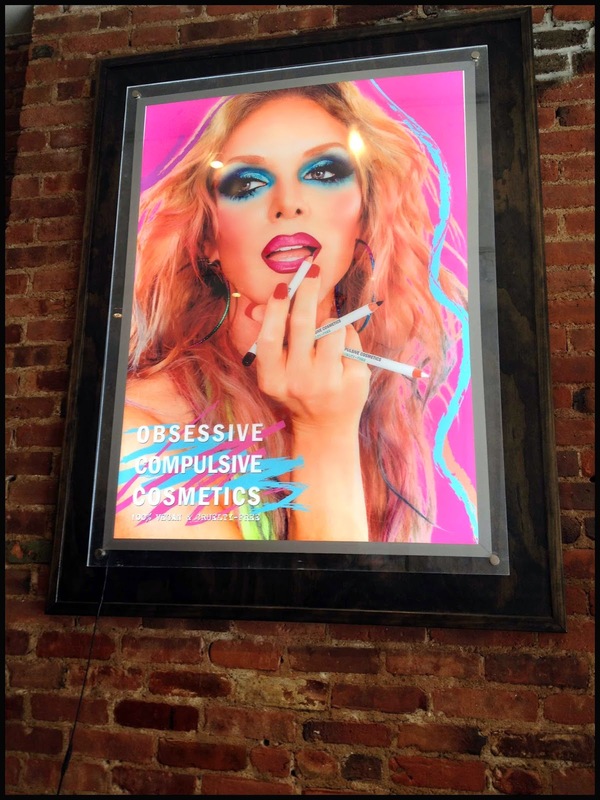 The store is not very big, but it is roomy enough to showcase the whole fantastic line and some cool artwork from OCC's latest campaign featuring some of Rupaul's Drag Race stars. Inside, associate Brittney kindly settles the matter for us, and there is good news and bad news. The repackaging is complete, and the Skin line is still available in all its 17 glorious colors (6 yellow based shades and 6 red based, plus 5 skin tone correctors), which is good news. The formula is exactly the same as before, which is great news. The only size available is now 4 oz bottles, but they are the same price as the 1 oz used to be, which is FANTASTIC news. The INK line, however, has been discontinued forever, and this is a bit of a shame, but the sadness for its demise is quickly replaced by the joy of knowing that the original formula is alive and kicking. The distribution of a new product is almost always a lengthy affair, with quite a lot of factors at play, and this is why the product is still missing from a lot of resellers, especially here in Europe where the import process adds extra time. However we can all breathe a sigh of relief, because Skin is on its way back on the shelves. With its unique texture, Skin is my go to product for that extra pick me up factor. Its formula, makes your skin look remarkably healthier and radiant, while remaining completely undetectable, if applied correctly. I know this sounds like any old classic beauty claim, but in this case it's true, it's just that good. US BUYER TIP: Until your preferred supplier is restocked, you can order this directly from OCC's website. EUROPE BUYER TIP: Some vendors still stock the original 1 oz sizes, in varying quantities. The Genie Cosmetics website still seems to have all the colours in stock. wow.. che colori fantastici!!! peccato che non sono andata in quella strada quando sono stata a New York.. These colors are truly spectacular ... There are lots of shades ! These colors are truly spectacular..